This is maturing exceedingly well. 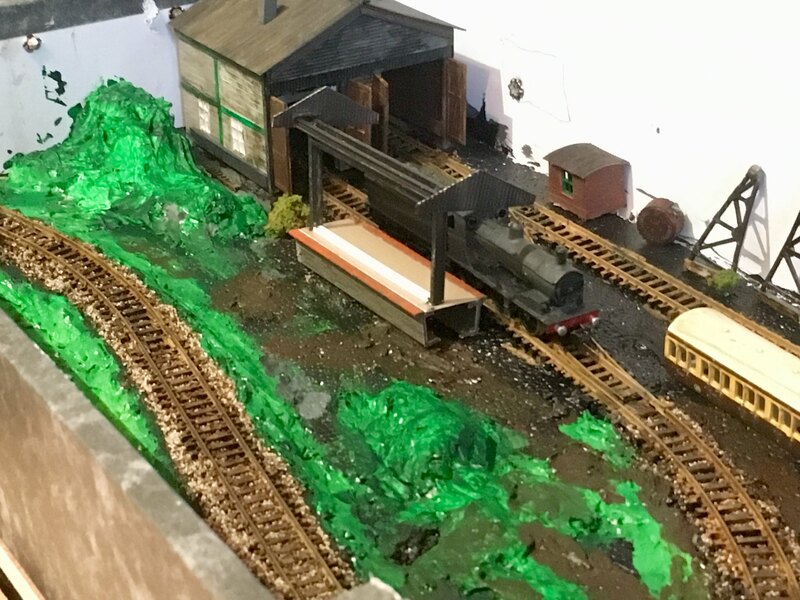 Work is still ongoing but I’m concentrating on building the loco depot which is taking sometime. Nothing really to show at the moment. Plus, of course, the Test Match is interfering with modelling time. Work has been a little sporadic in the last few days with visits to the dentist and watching the cricket on the television. The colours will be weathered down somewhat and details will be added. You can just see the outline of a shed door (white)behind the M7’s chimney. The smoke vent is simply held in place with blu tack at the mo (3 moreto add). The piece of white card shows (roughly) the position of the colaling stage. I’ll also add a half relief water tank. Remember this is just the shell at the moment. Any comments or suggestions before I proceed? Added a bit more detailing (more to do) and started to weather down the shed a bit and I have added the shed doors. I’ve also “rusted” the tracks in the shed area ready for compacted soot and ash to be scattered. I found the 2 old gantry frames in my spares/rubbish box. Not sure whether to use these as a basis for the wheel drop gantry? My next major job is to start on the rather unusual coaling facility. Looking good, Martin. Kernow MRC has a bargain priced 42-181 Graham Farish Scenecraft Depot Hoist, as at Cant Cove, for £22.95. Saving up to £12.00. (34.33%) on RRP (£34.95). It looks a lot like Wadebridge's. Alternately, you could use photos. of it as a guide to making your own? You would need some brass chain, a hook, a drum, and a wheel but the main structure could be made from balsa wood strip or plastruct girders? Things are progressing very well! I have seen pics of Wadebridge shed and you certainly seem to be capturing the spirit of the place. Where will the Beattie Well Tanks come from? I believe there are some kits. Look forward to your updates! I’d dearly love a Well Tank or two plus an outside cylinder pannier (136x). Me, too, for the same reasons. However, I'm not aware of any kits available for either the Well Tank or outside cylinder pannier tanks (136x) but, I believe, there was a Peco kit for the pannier tanks and even a plan by Peco to make them as RTR models in the 1970s. 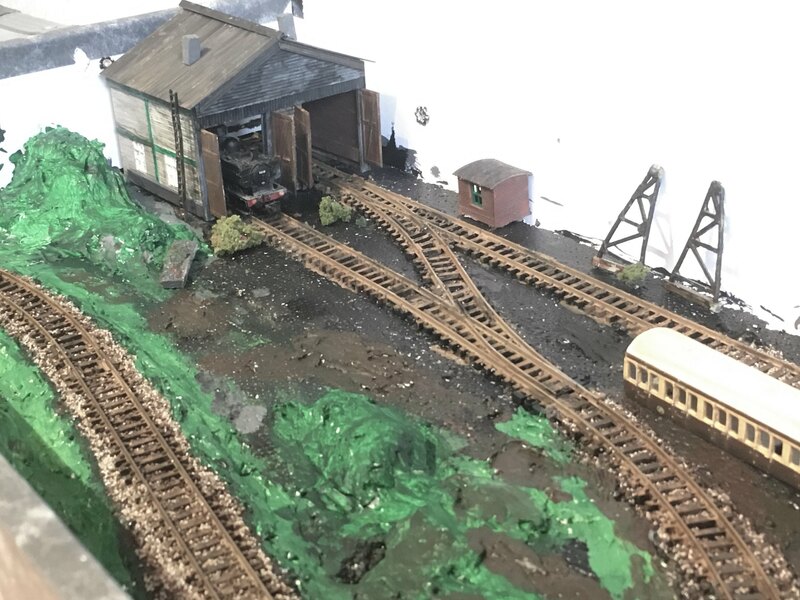 Attention has turned to the coaling facility and again, the small space available, means that this is a representation. There will be a corrugated roof and a part corrugated rear wall plus I’ll be adding additional roof supports at the front. 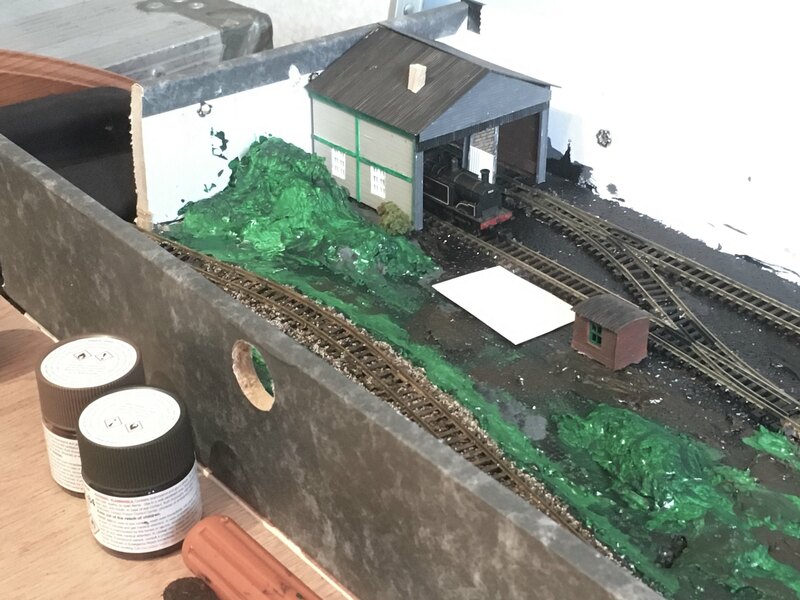 Steps need to be fitted at either end of the actual coaling platform. 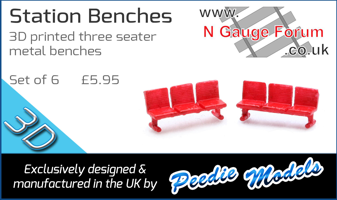 I saw an article in Railway Modeller a fair few years back where 'railway of the month' was Wenfordbridge. I remember the builder had the Beatties and I don't recall him saying they were scratch-built. I am going to do a Google search and see what I can find. I think I know that layout, I’ve exhibited at the same show if I’m correct. It’s finescale and I’m fairly sure the two beatties ate were scratchbuilt. They did look good though. Thanks Martin. I have looked on Google and nothing is coming up so I guess you are right. I will keep looking. I am an admirer of that 2mm FS layout, too. 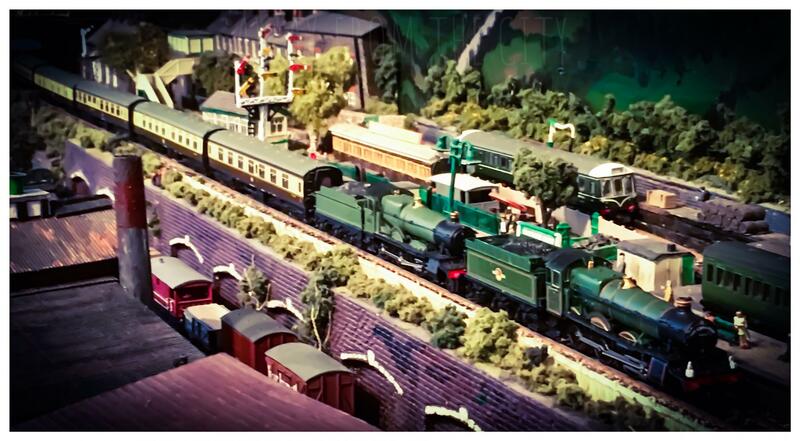 The Beatties and 1369 are all scratchbuilt, as I think all the locos. are, although a Bulleid Light Pacific uses a GF loco. body shell. Despite my enthusiasm this seems to be a lost cause. Sheet brass and a soldering iron anyone? I have scratch-built a 2mm scale body for a GCR C14 and put it on a GF compound chassis but had to file the magnet down to a wafer to get it to fit. Remarkably it still worked. However, the thought of trying to get a motor inside a Beattie would be a challenge. Obviously, the gifted can do it. Even modding a 14xx chassis and turning it around would need a lot of work I think.